Anyone who's been to an Asian wedding knows that on the whole, they're fairly large-scale productions. 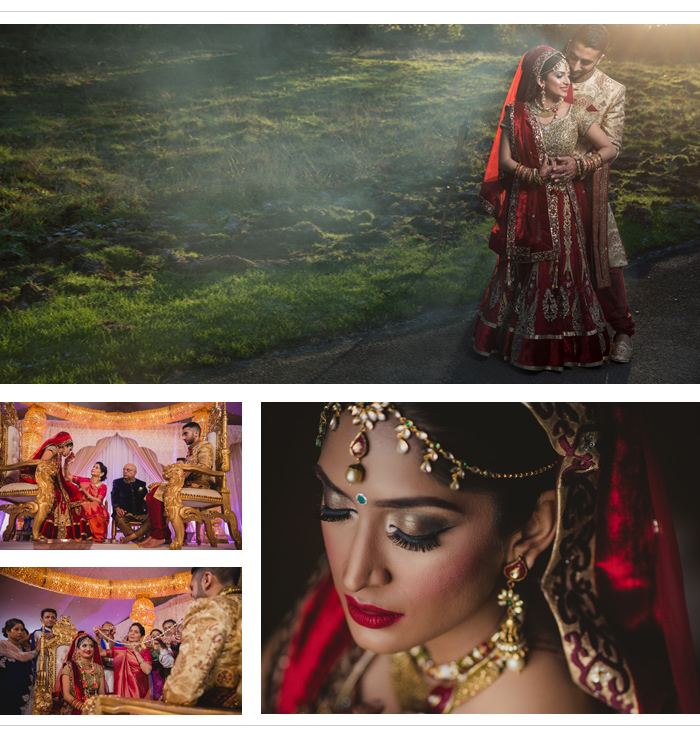 With the pre-wedding Mehndi bashes, hen and stag parties, Poojas and Sangeets as well as the Big Day itself, it can feel to the bride and groom as though their every move is being watched by thousands. Except in the case of London couple Shreena Patel and Prakash Vara, whose wedding ceremony really was being watched by thousands of people across the country. Just a month before their Big Day, the pair found out that their nuptials were to be filmed for the very first episode of Sky Living's new structured-reality show, Desi Rascals. 148,000 viewers tuned in to watch the pair tie the knot - enough to set even the calmest of nerves jangling. 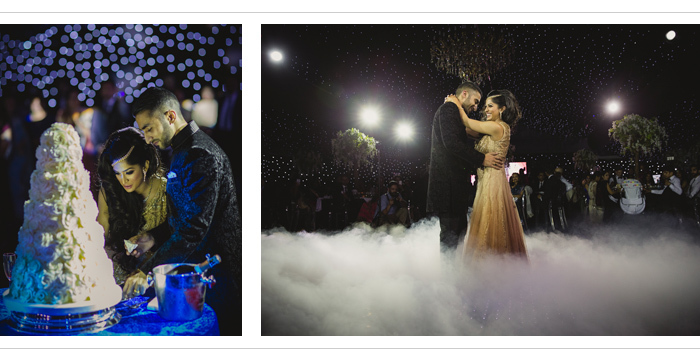 Luckily Shreena had the support of her family and some of the wedding industry's leading professionals to ensure she and Prakash enjoyed the day of their dreams. Shreena and Prakash had known of each other for a long time, but it wasn't until they gatecrashed a mutual friends engagement party that their paths finally crossed. Shreena remembers: "It was so awkward with all our friends watching us, eyes peeled for some sort of spark to fly! I threw him some playground insults, proclaimed I could buy my own drinks and would generally ignore his efforts." Prakash’s perseverance paid off in the end, "We had a chat, and that was it. Four years and ten days later, we tied the knot." However Shreena and Prakash’s wedding had an extra source of potential stress - 65 crew members running around filming the entire day for the first ever episode of Sky?Living’s Desi Rascals. But thanks to the efforts of Newland Manor’s events team who advised crew on how and where to discreetly film so as not to hinder the day itself, neither the bride, groom or guests took much notice of the cameras. For the morning ceremony, a white marquee set on the grounds of the venue was filled with a gold Mandap and chiavari chairs while small white lights twinkled across the ceiling of the marquee, creating a starlight effect. The bride made her entrance on a traditional palki carried by her mamas, and accompanied by members of her family, all dressed in royal blue, to the sound of Niraj Chag's It's Life. Shreena remembers: “Nothing beats that feeling of looking into the Mandap to see your parents smiling back at you - and a nervous Prakash twitching behind the sheet!” A bespoke programme allowed guests to follow the ceremony, while a photolist on the reverse ensured that photos with the newlyweds - normally chaotic - went as smoothly as possible. Keen to avoid a time-consuming trip to India, Shreena turned to Ealing Road in Wembley to find her wedding outfits. A traditional red chaniya choli from bridal boutique Venisons perfectly complimented Shreena’s tiny 4ft 8in frame. When her father cried after seeing her in the finished customised ensemble, Shreena knew she had found The One. Torn between two reception options from Miss Fashionista, Shreena simply bought both. One was an understated grey chiffon gown and the other a peach ensemble embellished with topaz coloured stones. Newland Manor’s team of experienced event planners transformed the morning’s white marquee for the black-tented reception in the evening and a drinks reception held in a white marquee. A 360° LED?bar took centre stage in the middle of the white marquee, while both venues were dotted with white maple and wisteria trees set off by pink and purple uplighting, tiki lights and flickering candles. A custom-made Etsy table plan in the black marquee pointed guests to their tables, each decorated with centrepieces of large twig trees and crystal drops. Guests relaxed and chatted on white Chesterfield sofas while smartly dressed waiting staff circulated the room offering drinks and canapés.? There were five toasts in total, but each was a bit different helping to keep the audience engaged. Shreena’s best friends Neha and Nira began the proceedings with a hilarious Mr and Mrs game, that encouraged guests to get involved by shouting the answers.